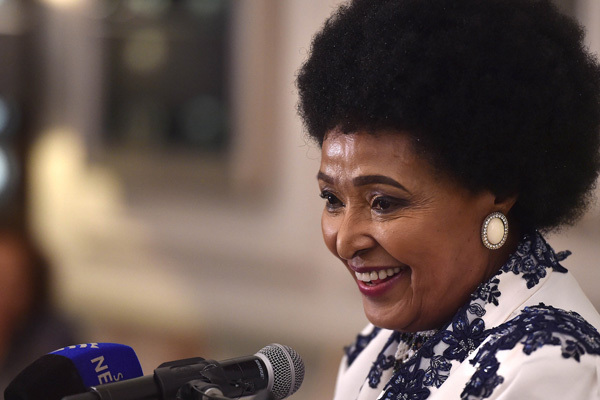 The Elders express their condolences at the death of South African anti-Apartheid campaigner and former first lady Winnie Madikizela-Mandela. Winnie Madikizela-Mandela became an international symbol of resistance to apartheid following the imprisonment of her then husband, Nelson Mandela. Praised for her courageous defiance during a brutal period of state terror in apartheid South Africa, her resolve - even in the most difficult personal circumstances - inspired many to continue. "Winnie Madikizela-Mandela was a voice of defiance who refused to be silenced. Her life was a testament to both the strengths and weaknesses of the human character. Winnie Madikizela-Mandela's courage and resilience inspired a generation of activists, both in South Africa and around the world."